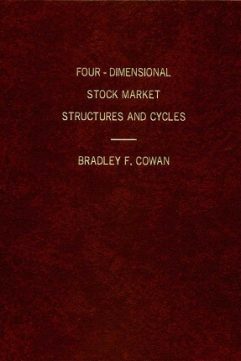 Four-Dimensional Stock Market Structures and Cycles is the first set of 2 books and contains the first ten lessons in the 4 book course. 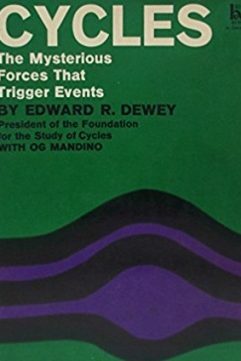 Although the stock market is used for examples, the techniques are universal and can be applied to any market. This award-winning home-study course teaches market analysts how to make accurate financial market models predicting price-time action years into the future. 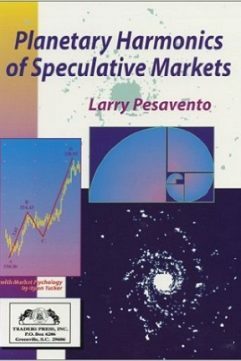 These techniques combine geometry with cycle analysis to pinpoint turns in both price and time. There are workbook-like questions/answers producing price and time projections with accuracy better than one percent. 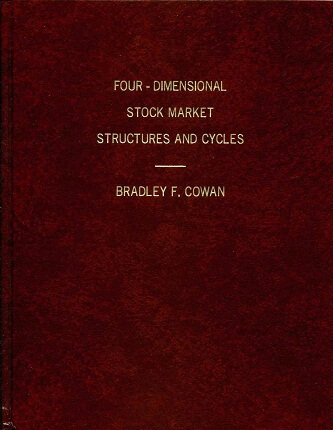 One example of the results obtained by applying the techniques taught in this course is shown below where a five-year model of the stock market is shown that was created in February 1984 using these techniques. The Dow Jones Industrial Average is shown below the graph for comparison to what actually happened after this model was made.